Kaye Carole Ritzenthaler, 85, of Ottawa Lake, MI passed away Tuesday, June 19, 2018 at Elderly Solutions of Monroe, MI. She was born February 17, 1933 in Toledo, OH. 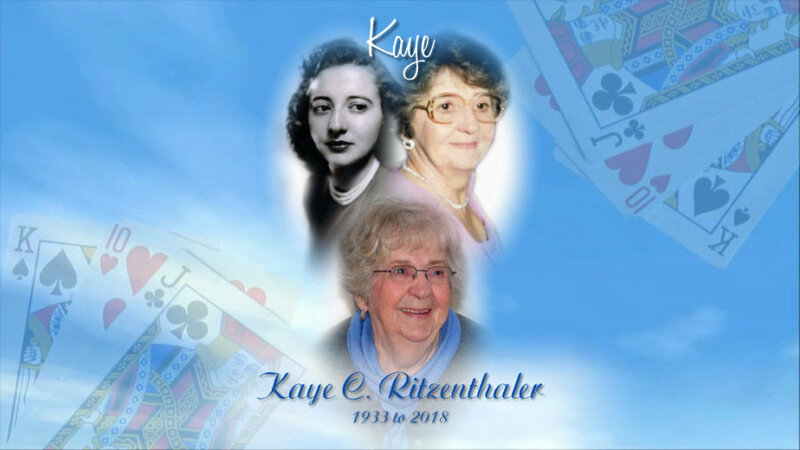 Kaye married her High School sweetheart John “Jack” Ritzenthaler November 3, 1951; together they raised three children and enjoyed 57 years of marriage until his passing in 2008. She loved to cook, play cards (euchre), and attend Whitmer High School Alumni luncheons. Kaye’s #1 priority was family time that she truly treasured every moment of. Left to cherish her memory are her children, Debbie (Ed) McGee; Terri (James) Yockey; John (Alisa) Ritzenthaler Jr.; grandchildren, Eddie (Kristin) McGee; Matt (Sarah) McGee; Jennifer (Mark) Hyatt; Darcy (Jack) Smith; Becky (Cody) Crawford; Scott McGee; John III, Jake, and Emily (Keith Anthony) Ritzenthaler; nine great grandchildren that she adored; brothers, Bill (Loretta) Boerst and Paul Boerst; Sister-In-Laws Ruth Nadolny & Barbara Crayne. Also “honorary” son Rick Berndt and many beloved nieces, nephews and wonderful friends. Kaye was preceded in death by her loving husband Jack; granddaughter, Tracy Keck; son in law, Roger Slusher. Friends may join the family for visitation at Reeb Funeral Home, 5712 N. Main St., Sylvania, OH, Friday, June 22, 2018 from 3pm to 8pm. The Funeral Mass will be Saturday June 23, at 11am with visitation one hour prior at St. Anthony Catholic Church, 4605 St. Anthony Rd., Temperance, MI. Interment to follow at Toledo Memorial Park. Those wishing to give a memorial are asked to consider any Hospice of the donor choice.